- Unique Features: instrument and microphone channels with independent tone and effects controls; smart feedback elimination circuit with on/off switch for each channel; studio-quality effects including reverb, echo/delay, chorus, Vibratone, and more; soundman-friendly XLR line output with ground lift; auxiliary input for use with a media player; strong, lightweight five-ply hardwood construction; and classic Fender cosmetic treatment with brown textured vinyl covering and chrome hardware. An optional two-button effects select footswitch is also available. 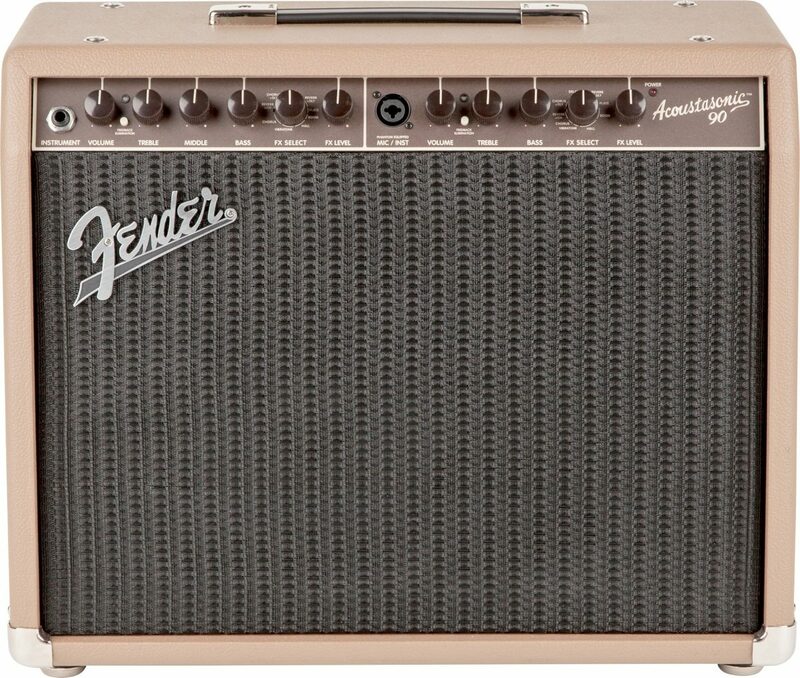 Overall: Just what I was looking for in a powerful yet lite-weight acoustic amp. Because I can also plug in a mic, it cuts down on having to deal with a PA system. Works great and is plenty loud enough for our acoustic outdoor gigs. I am very pleased with it and would definitely purchase again if something happened to it. It compliments my Taylor acoustic sound to perfection. Overall: I'm not a pro ... but play a lot in our church band. Use a Martin or Yamaha guitar with K-mini pickup. 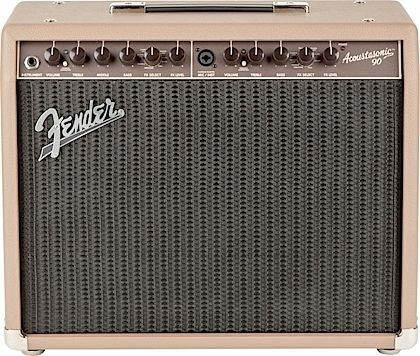 I play mostly southern and bluegrass gospel style --- love this amp more all the time. 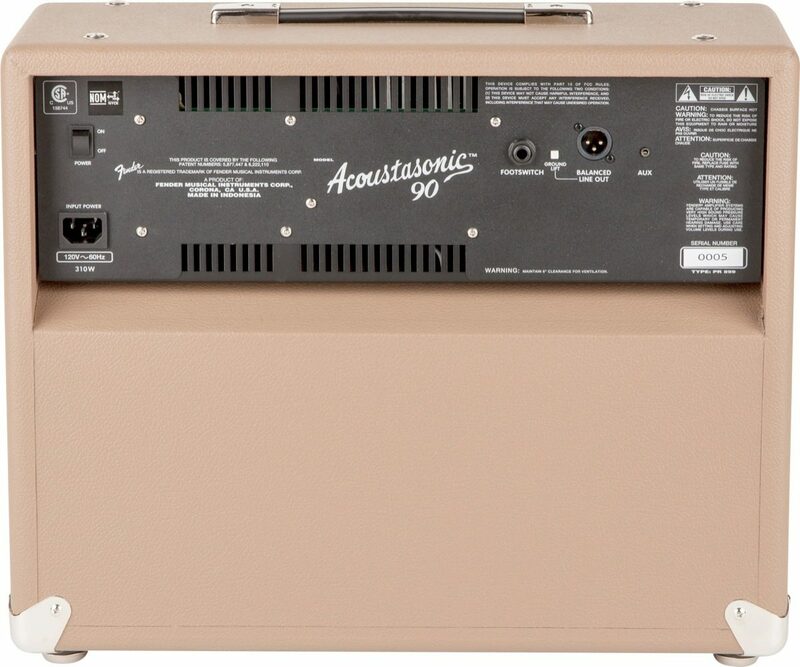 Tried to buy an Acoustasonic 30 on the used market and was gonna cost $250 .... decided to pay $300 for a new "90". Good choice, IMO.